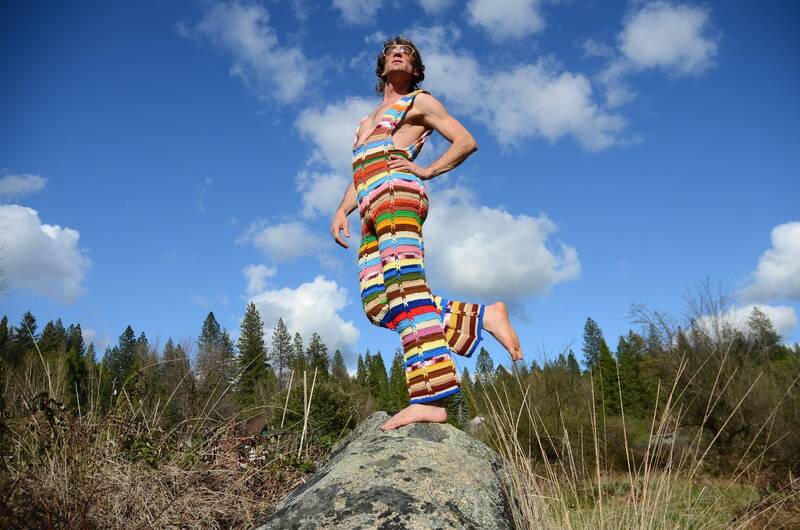 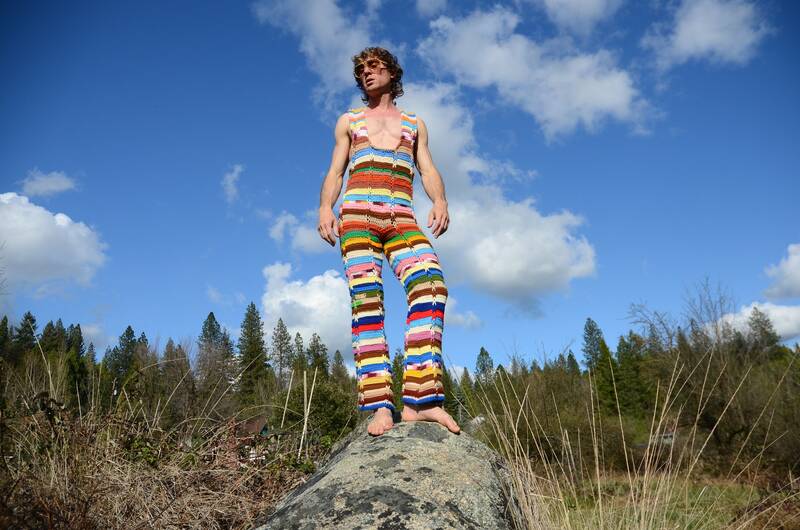 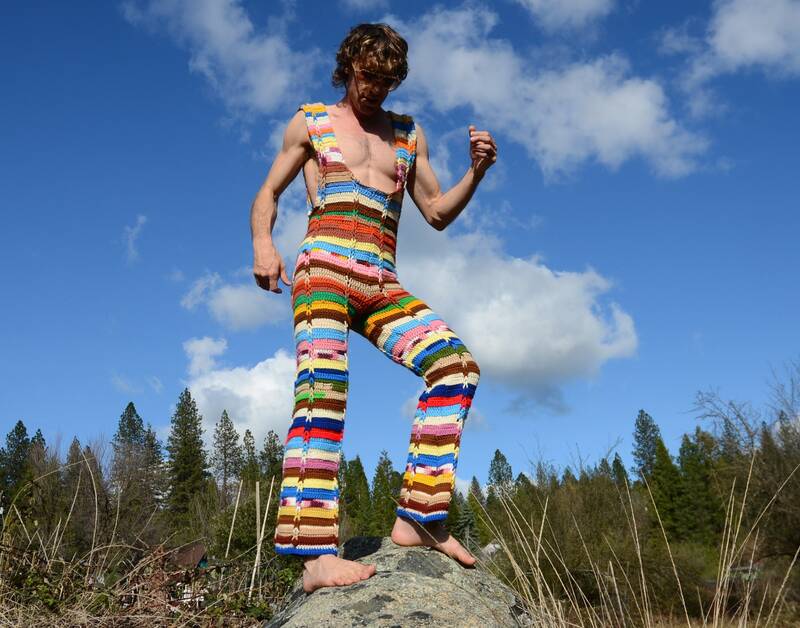 These are crochet overalls with multicolor rainbow stripes! 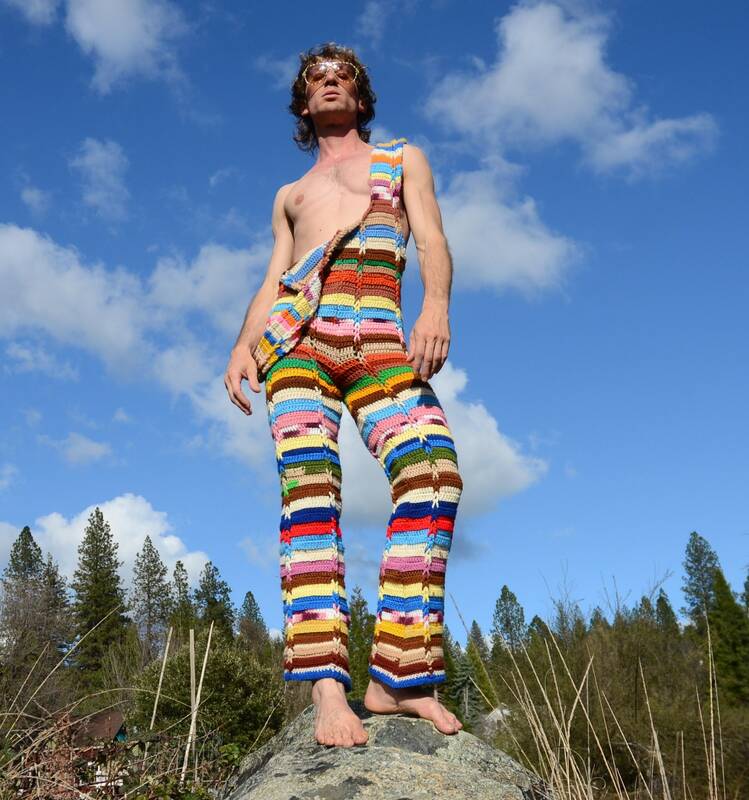 Made from a vintage afghan blanket crocheted in acrylic yarn, these overalls are super comfortable and fun!! 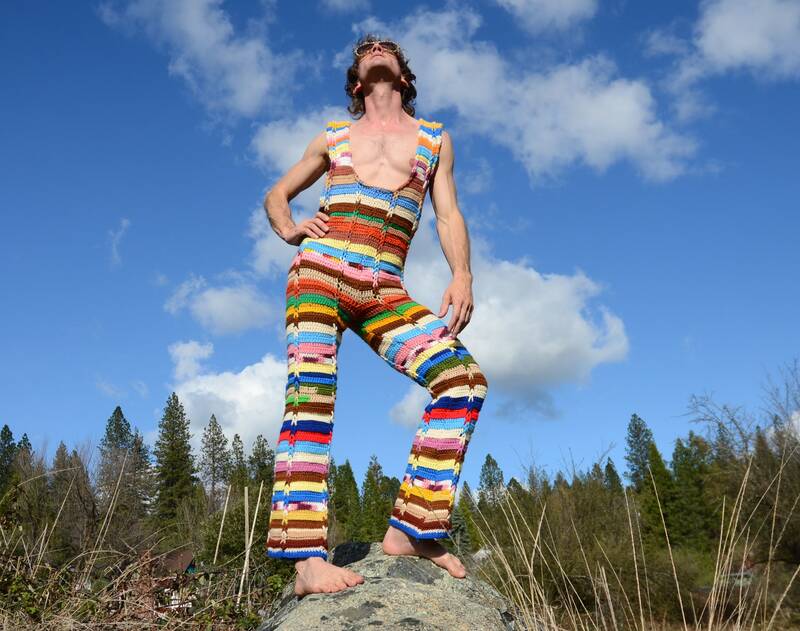 These are S or M sized overalls, good for up to 32 waist and 30 inseam.